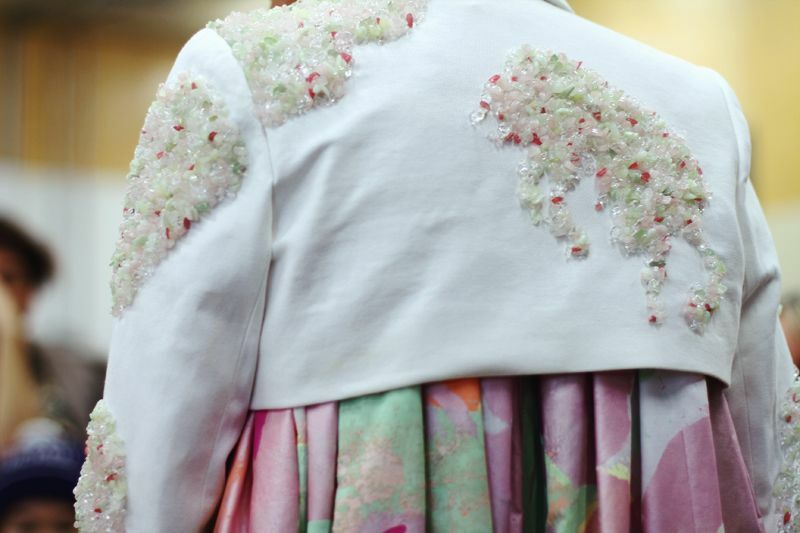 Here comes a huge amount of photos with a little insight, on what goes on behind CSM's doors. 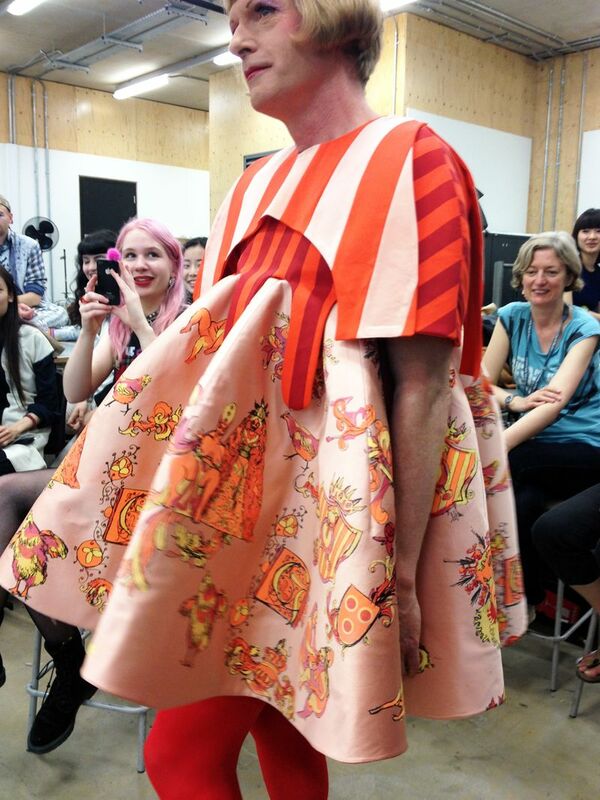 Just before the holidays, I went to see the 2nd year Fashion Print crit with the famous Grayson Perry project. Oh boy, what can I say! 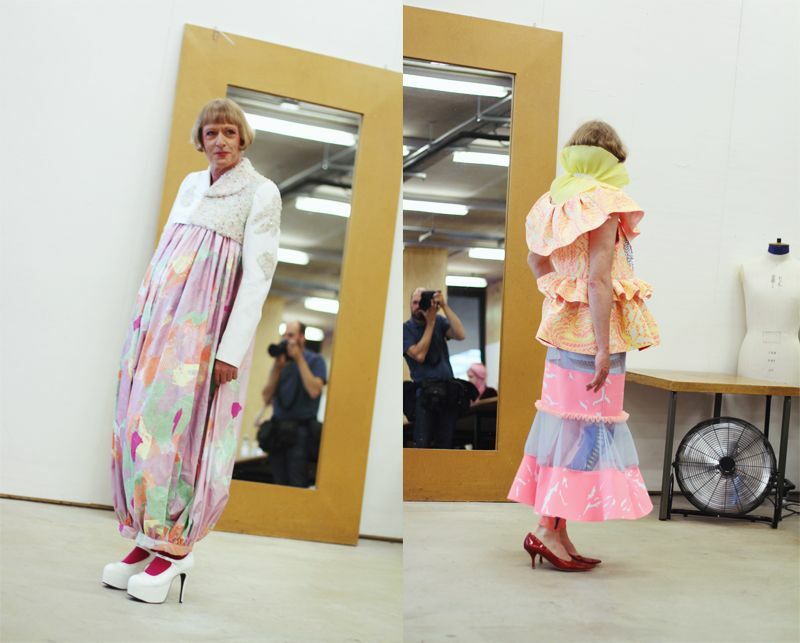 Before I went on holidays, my tutor Natalie Gibson invited me to attend the final crit of the 2nd year Fashion Print students. This being the course I want to attend next year, I was of course very eager to go. 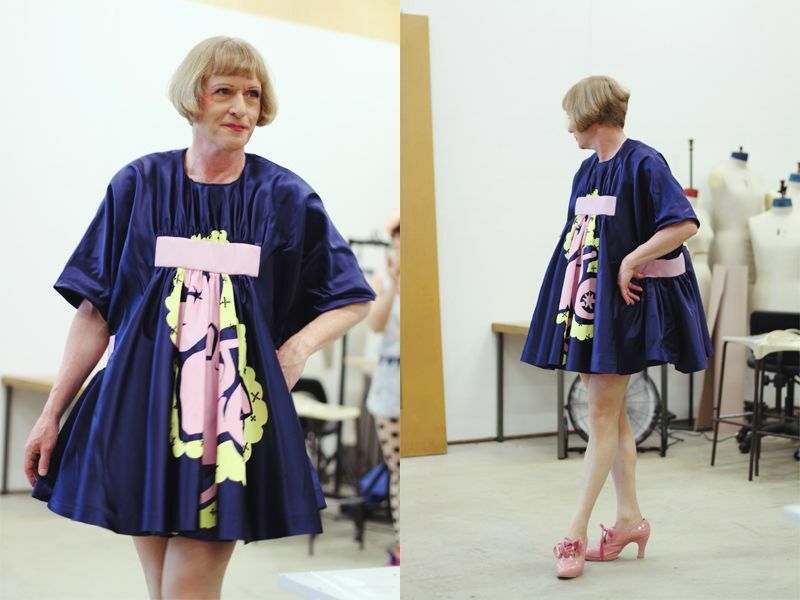 Little did I know, that I was going to see the well known Grayson Perry project, and I must say - what an experience! First of all, he, as well as everyone walking these halls is such a character. He filled up the room with wit and charm, so it was pure fun to watch. 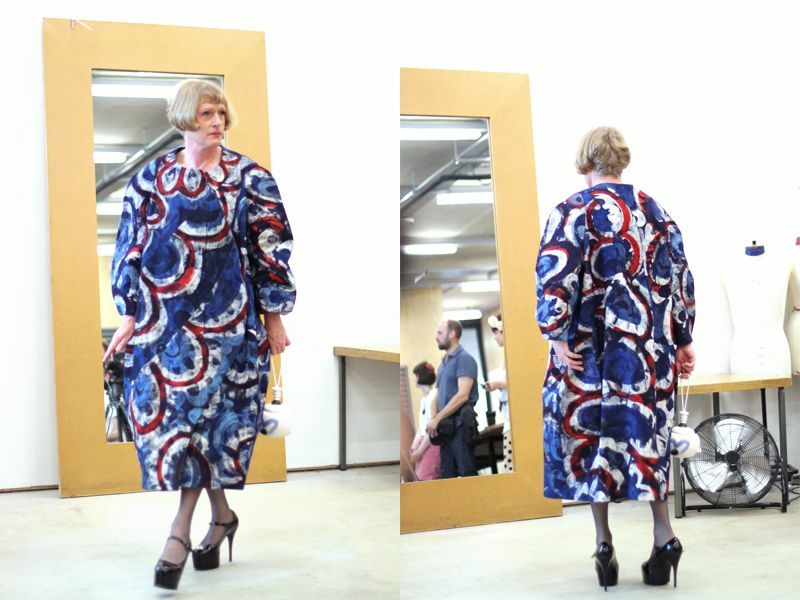 Ollie Thame had made a beautiful one-piece (or jacket with pants?). Anyhow! I was mesmerised by the colours and details of this. Above right is Jane Tan's playful ensemble - I loved her mixing of prints and the colours used. Harriet Fox had created a very classy and sophisticated tulip dress which was accessorised with a little ceramic lantern. The dress and lantern went really well together, and just looked like beautiful handwork. 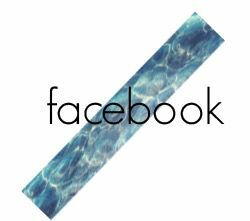 One of my personal favourites was created by Alessandro Francalacci. 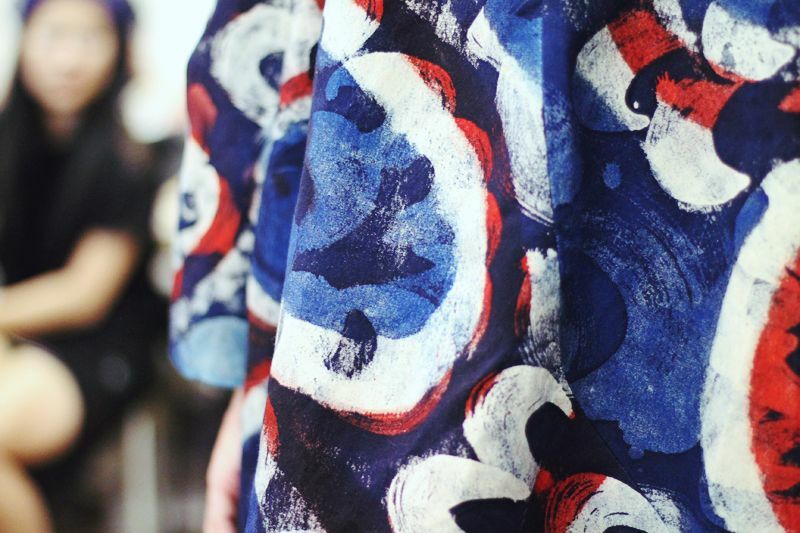 It wasn't just interesting in colour and print, but a completely new interpretation of the baby doll silhouette. Home-run. Amanda Montenovo had created a cute navy blue babydoll dress. The bob is real, kiddos. 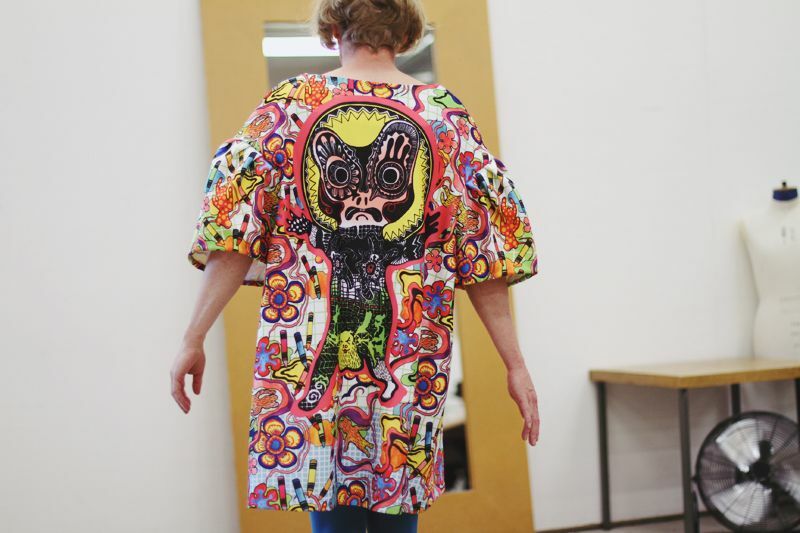 The last garment I'll show you is with a print as happy as the creator behind it, Angus Lai. 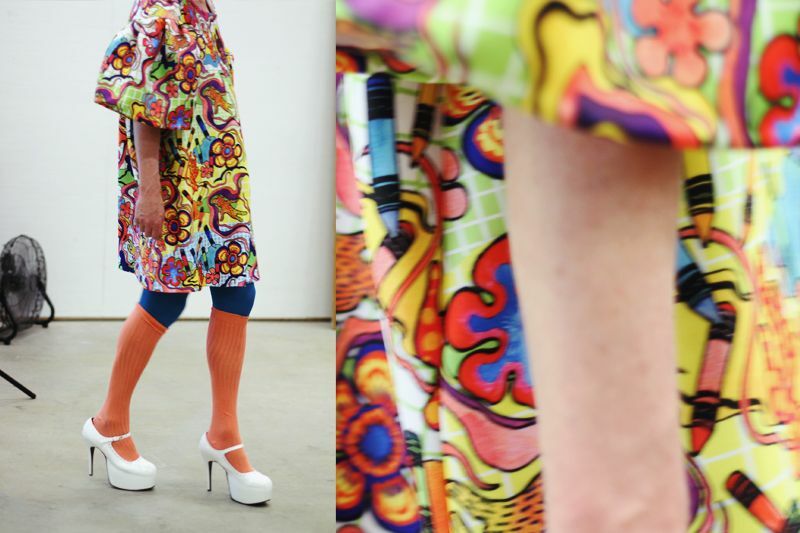 It was really well executed and I really like how colourful and playful the print is. Last but absolutely not least. First actually! 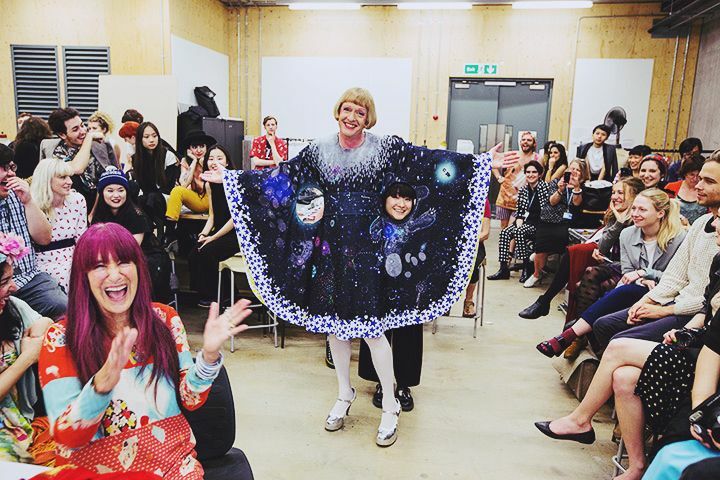 The first place went to Ayaka Sakurai (seen peeping through behind GP) who had created as The Guardian puts it, the teddy-bear-outer-space dress. And it gets better. We turned the lights off, and the night sky lid up. This is so hilarious and fabulous! All the design are so innovative, i love it. 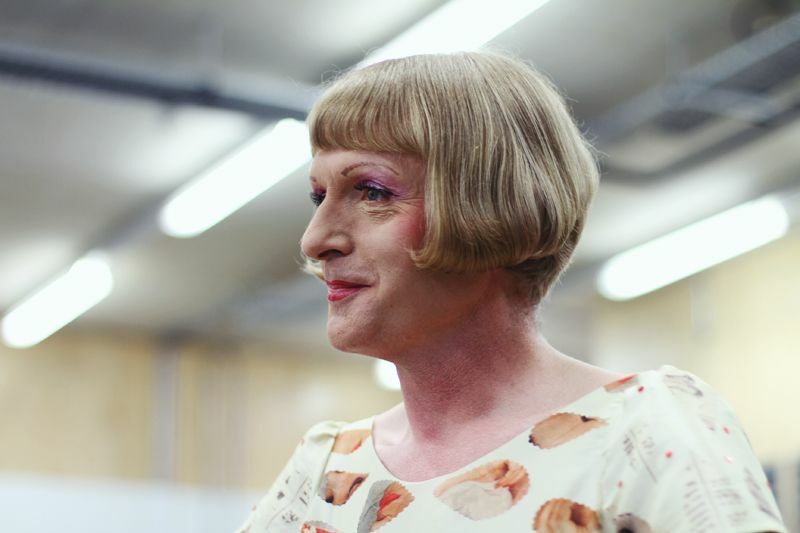 I hope you get in to the course, you'll be a lucky gal! This looks like a funny catwalk! 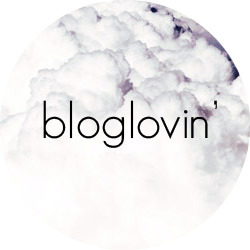 keep posting we love your blog! Amazing! I love how people make these kind of fun projects! I think all the patterns are incredible. For example, Angus Lai's created print. Marvellous! 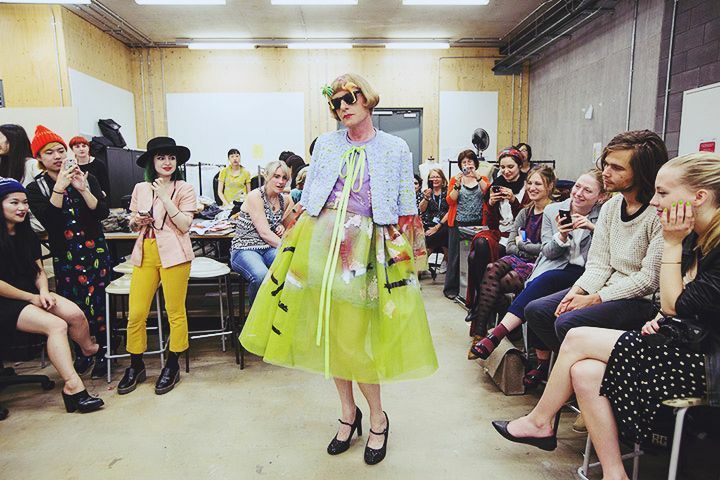 Oh, now I really want to study at Central Saint Martins! So incredibly amazing!